Jaguar’s first all-electric vehicle is truly a concept car made real. Unleashing Jaguar beauty, the new all-electric I-PACE is an ultimate combination of technology, performance and style. I-PACE is a pure battery operated mid-sized SUV that places Jaguar at the forefront of green emission revolution. The new Jaguar all-electric SUV’s cab-forward design is entirely influenced by Jaguar C-X75 supercar. With a wheelbase of 2,990mm and length of 4,682mm, I-PACE also resembles Jaguar F-PACE, providing an interior space of a large luxury SUV. 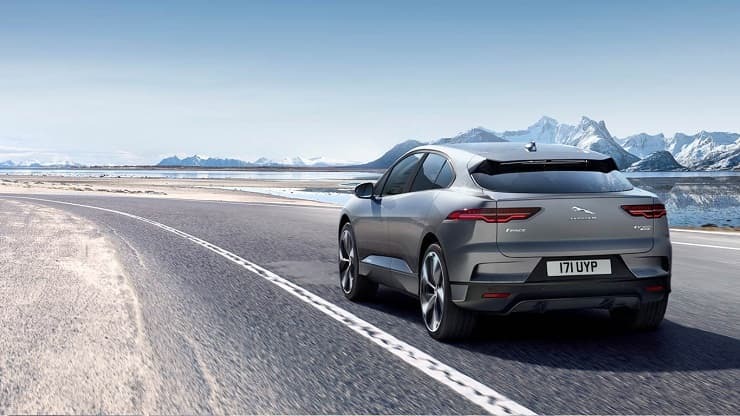 The sleek and coupe silhouette of I-PACE is adopted from Jaguar C-X75 supercar. It features a short, low-rise bonnet with aero-enhanced roof design and curved rear screen. 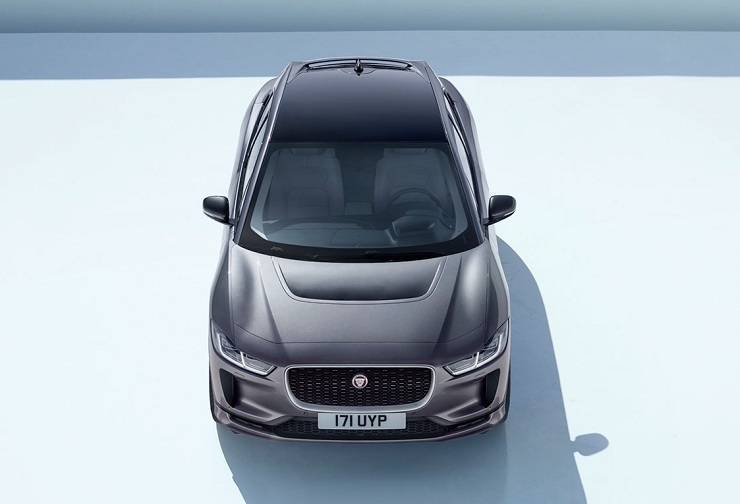 Keeping in line with Jaguar’s heritage of bold design, the all-electric SUV has a full-size panoramic roof that can absorb infrared rays to create a light, spacious and cool inside. Active Vanes in the front grille open when cooling is required and close otherwise. This optimizes the balance between cooling and aerodynamic performance. The electric SUV from Jaguar is five-seater with an innovative storage embodying a large rear loadspace of over 1,453 liters (with seats folded). 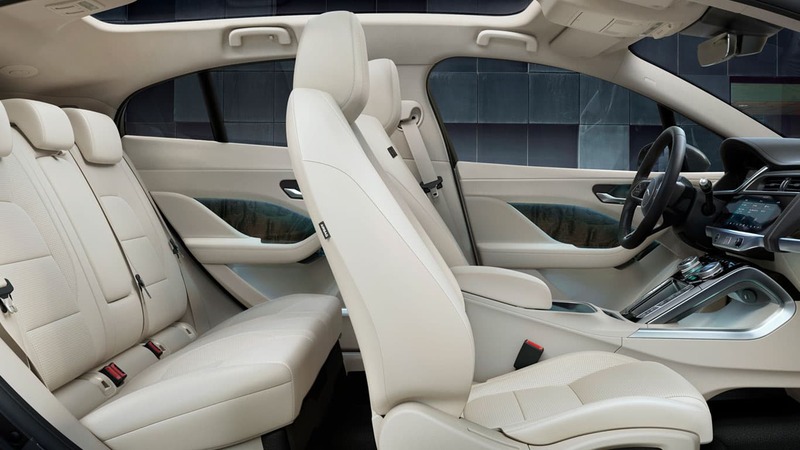 Since there is no transmission tunnel in the center of the I-PACE, there is a space for a 10.5-liter compartment in the center console for small items like phones, and keys. The trays placed under the rear seats also provide enough storage for tablets and laptops. The all-new Jaguar I-PACE engine features similar technology as found in I-TYPE Formula E racing car. I-PACE is powered by dual permanent magnet synchronous electric motors. This combination of motors adapts to suit any road conditions and propels power of 400PS and 696Nm of torque. Jaguar I-PACE all-wheel drive factor and the instant torque thrusts it to accelerate from 0 to 62 mph in 4.5 seconds. Competing Tesla Model S, Jaguar's first pure BEV is a sheer example of a vehicle taking full advantage of the smart electric powertrain. Likewise, Jaguar’s all-electric is charged by a 90kWh battery that, in turn, is made up of high energy density lithium-ion pouch cells. The car can stretch up to 298 miles on a single charge. 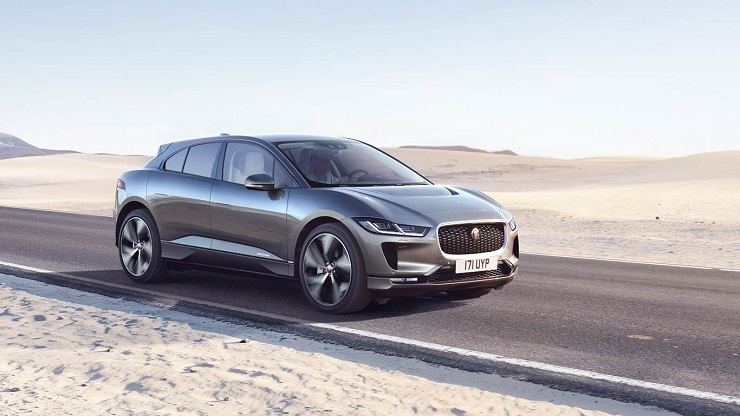 Jaguar developed a specialized battery and state-of-the-art thermal management system got I-PACE to support long life and sessions of nonstop maximum power. Next, with the ubiquitous available 50kW DC rapid charger, I-PACE can charge up to 168 miles of range per hour. If charged on a 100kW charger, the all-electric SUV will charge from 0 to 80 percent within 40 minutes and with 15 minutes charging, the beauty can swift till 60 miles. Remarkably, I-PACE is tested to operate in conditions as severe as -40°C which is 10°C colder than the conventional EVs. Jaguar Smart Settings utilize artificial intelligence to recognize driver preferences and adapt the driving experience. Adding to this, I-PACE will embed an Amazon Alexa Skill in its system. This will eventually let owners question an Alexa enabled device for information held in the Jaguar InControlRemote app. For instance: Is my car locked? Or what is my car charging level? I-PACE is available in three variants namely, in S, SE, and HSE alongside a First Edition. The sales of the Jaguar’s first pure BEV will commence in the middle of 2018, with a target starting price of $70,495 for model S, $76,845 for model SE and $ 81,495 for model HSE.